Japan Penmanship improve your Japanese writing. Japanese is interesting language that has meaning on a letter. Don't you want to write Japanese letter beautifully? 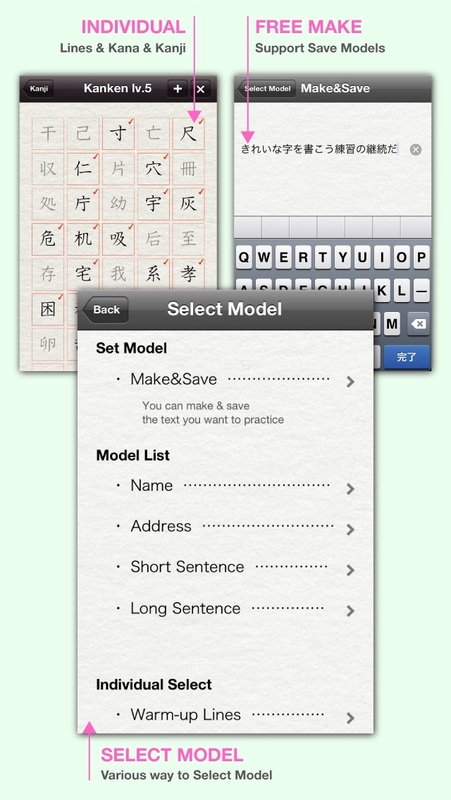 ◆Feature◆ >Copybook ・You just input letters what you want to practice. ・You can save your favorite copybook (ex; name,address,sentences...) >Pronunciation ( Romaji & Hiragana ) ・Provides pronunciation for each Japanese letters. 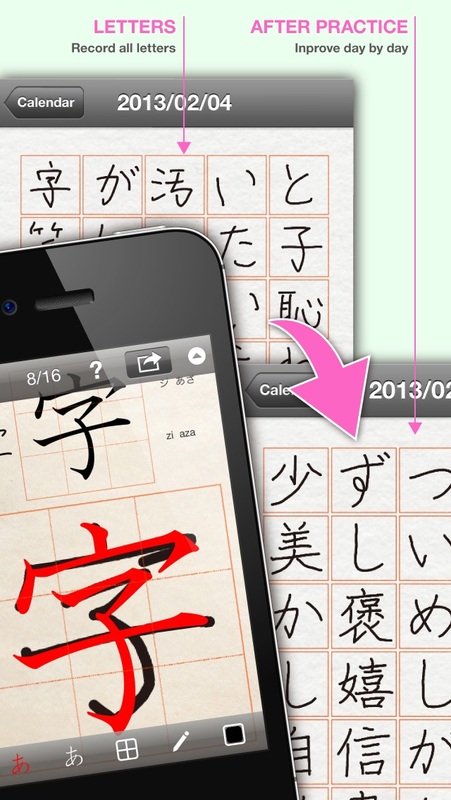 (Hiragana , Katakana,Kanji Kanken from level 10 to 2) >Stroke order ・Shows how to write in order. With correct order makes your writing more beautiful. 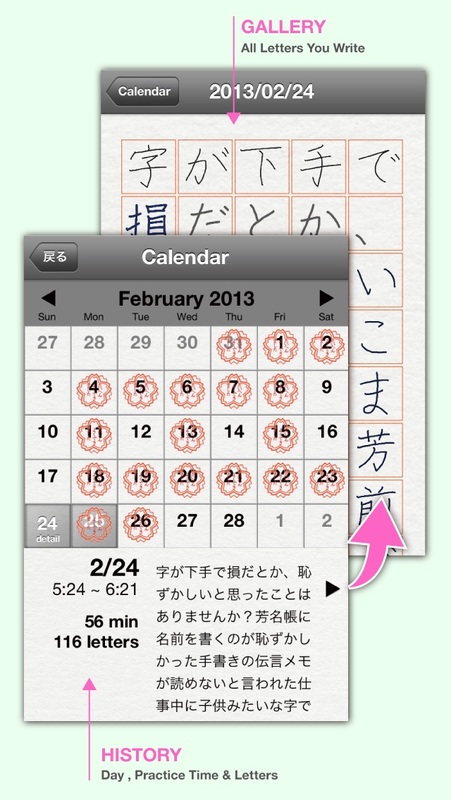 >Calender ・Marks appear when you practiced. Also shows detail practice (letters practiced,number,time) >Record your letter ・Record all letter you written.Helps check your improve. >Tips ・Shows how to practice Japanese handwriting in english . >Difficulty ・Provides three levels of difficulty.1.trace , 2.waching 3.remind. >Rules ・Provides 4 kind of rules. Select to the purpose. 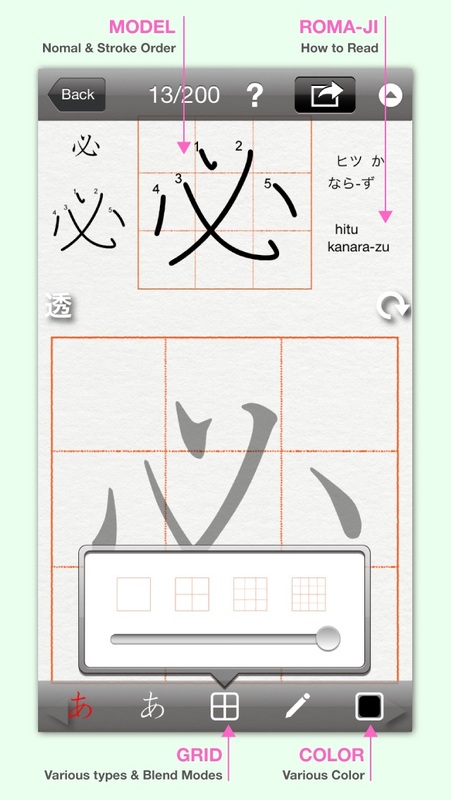 >Letters ・Provides list screen for Hiragana ,Katakana,Kanji ,warm up lines.You can select easily. ・Kanji is categorized refer from “Kanken” *. You can practice to a level. >Other ・Provides tips to improve your Japanese writing. You can practice efficiently. ◆Recommend◆ Of course even a finger can practice, but is more effective when I use it together with a touch pen. ◆Support◆ Japanese Penmanship Website introduce more information about Japan Penmanship Please visit Japanese Penmanship Website. 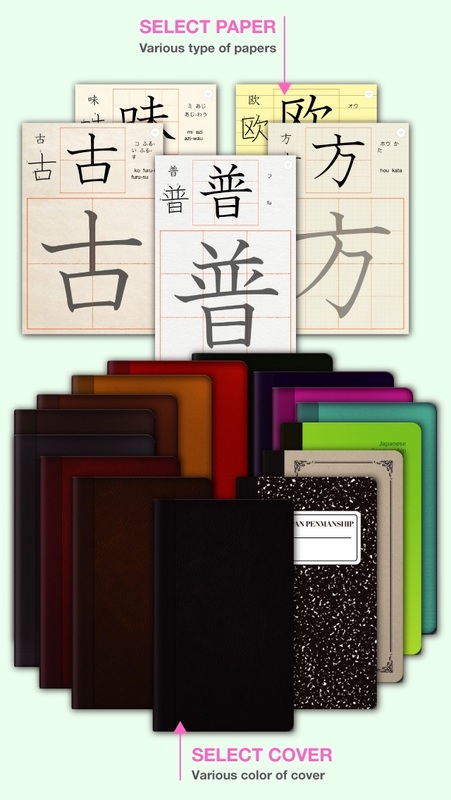 http://artdigic.com/en/ *“Kanken” actually is an abbreviation of “Kanji Kentei Shiken,” which means “The Tests on knowledge of Kanji (Chinese characters incorporated in Japanese language).”They are classified in 10 levels with Level 1 as the highest grade. In the Level 1, as many as 6000 characters are used for examination. The tests have drawn interest among the Japanese people in recent years and thousands of Japanese take them every year. Terrible. Nearly all the instructions are in Japanese. The ones in English are nearly unintelligible. If that's not enough, nothing worked -- no Japanese character appeared to copy. Waste of money -- and I want my money back!! And, the developer's web site is invalid -- does not work. And the support page is all in Japanese. How does Apple let this rubbish through? !